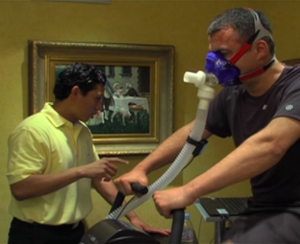 Fitness trainer measures a patient’s oxygen capacity. Men have a great deal of daily pressure, and society has expectations that they be stoic about their stress. This can lead to internalizing stress which is known to have a negative effect on one’s physical well-being. 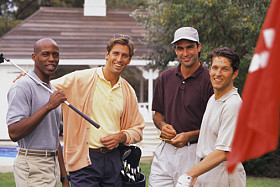 Additionally, men too go through a hormonal change in mid-life. It is referred to as “andropause,” and can be just as unbalancing as a woman’s menopause.